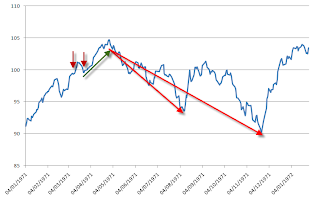 As of Janauary 26th 2010 the S&P was 8% above its 200-day MA, -2% below its 50-day MA and -3% below its 20-day MA. 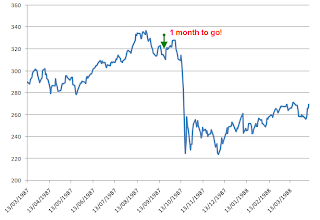 In October 30th 2009 the S&P was -3% down on its 20-day MA and -1.5% down from its 50-day MA (although 13% above its 200-day MA); but this was the day of the last significant reaction low and the launching point for the current leg of the rally. In June 2008 there was a number of possible outcomes; strongest associations were to 2001, 2002, 2003 with honorable mentions to 2008, 1982, 1981, 1969 and 1957. For November 2008 it was down to 1974 and 2002. In September 2009 the matching action was 1955, 1975, 1980, 1982, 1983, 1986 and 1987. In December 2009 we had matches for 1971, 1975, 1983, 1986, 1987 and 1997. Now, in January 2010 we have a broad number of matches: 1999, 1998, 1987, 1986, 1971, 1967, 1963, 1961, 1959 and 1954. Since the March bottom in 2009 the S&P has been matching the action of 1986 and 1987. However, for the current state of play the strongest matches were to March-June 1999 with May-June 1971 next and March 1963 after that. So how did the S&P look during these periods? The year had a bullish bias, although in percentage terms 1999 was not a big winner for bulls. This scrappy behavior continued to its eventual peak in 2000 (@1,553). Whipsaw action made for difficult trading conditions with momemtum indicators (like stochastics) providing better trade entries than trend following indicators (like the MACD); will 2010 be another such year? 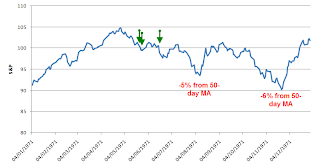 In 1971 the S&P stayed relatively close to its 50-day MA with a maximum distance of 6% away from the MA. While the market was ultimately bearish, it wasn't a market controlled by sharp selloffs; it was a market where cash-is-king. The 1963 match provides the most bullish scenario. Here the market followed with solid gains throughout the rest of the year; the most the S&P lost to its 50-day MA was -4% in November. The match strengthens when you look back to 1962. In June 1962 the S&P suffered a meltdown which left the S&P -23% below its 200-day MA, -15% below its 50-day MA and -7% off its 20-day MA - while not the damage of March 2009 there is a precedent. 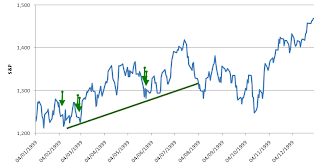 A similar match occured in October 2008 - the difference came in the March 2009 low which was lower than the October 2008 low, whereas the October 1962 low was higher than its June low - but in each case a major market bottom was left in place. As for the ensuing rally, it wasn't until April 1966 that it eventually stalled, a rally which lasted the best part of 4 years. On the continuity scale we still have 1986 in play. 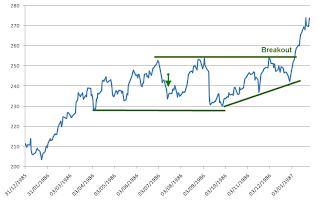 Here the market spent the best part of 1986 trading a tight range until a breakout into 1987. While not a great market to trade, it wasn't one which brought heavy losses - unlike in 1987. While there was only one matching time period, we haven't been able to shake 1987 off as a possible outcome. A crash like in 1987 will require a catalyst and (unfortunately) the stakes required to trigger such crashes appear to be rising. The only thing about 1987 is it doesn't fit with a general theme for a lacklustre market as 1999, 1986, and 1971 suggest will happen. If one is to play cautious you could argue for a movement to cash, given sideways markets are best played from the sidelines and no point looking to scramble out if a 1987-style crash was to make an appearance. The good news is if 1962-63 is setting the tone there could be another couple of years left in this rally. 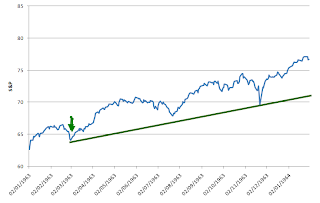 If you are a bull and are looking at buying this dip it may be prudent to run a tight stop of 1-2%. Stay out altogether if the S&P loses more than 6% off its 50-day MA. 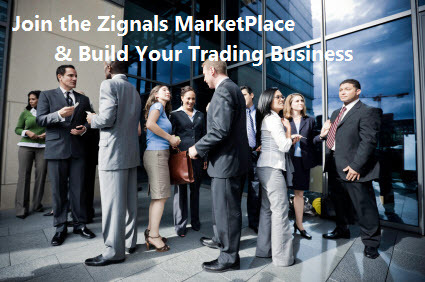 If you are an unsure as to what to do, it's best to take what profits you have and adopt a wait-and-see approach, or at least keep your market exposure to a comfortable minimum. If you are a bear, then any rally which emerges should stall out at the 20-day MA; only when a sequence of lower highs and lower lows emerges will the trend be in your favour.